First week involves a performance at the Gothic House and some Children's Workshops at the Citadel, both in Spandau. On the 27th (tomorrow) I'll be performing with Arief Yudi Rahman from the Jatiwangi Art Factory, sometime between 7 and 8pm. CHRISTINE FALK & ALFRED BANZE / CAMPING AkADEMIE e.V. 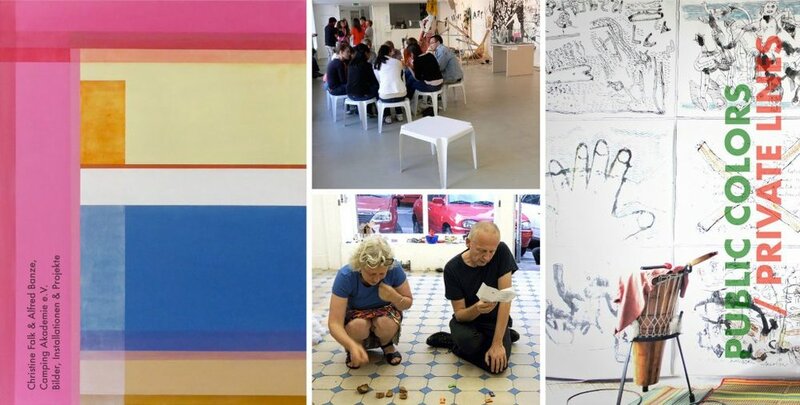 The exhibition „Public Colors / Private Lines“ shows paintings, drawings and videos by Christine Falk and Alfred Banze, as well as participative projects that they have realized with their association Camping Akademie e.V. in the past 10 years in Berlin and around the world, often in Emerging and developing countries. New works created in China in 2017 form a center of the exhibition. The collection of the city museum is included.